It frequently happens moreover – and this is one of the charms of photography – that the operator himself discovers on examination, perhaps long afterwards, that he has depicted many things he had no notion of at the time. 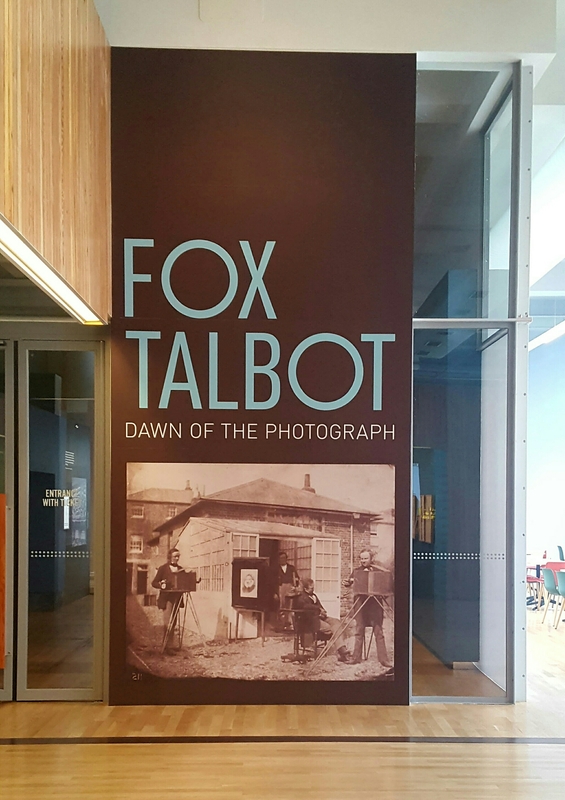 Until two weeks ago I had never heard of William Henry Fox Talbot. But as a fan of picture taking, from the humble smartphone selfie to the supped-up DSLR snap, I owe him my thanks. A Sunday trip to the Science Museum placed me face to portrait with one of the forefathers of modern day photography. Born to well-off parents in 1800, young William took a great interest in science and formed a lifelong love affair with his ancestral home, Lacock Abbey in Wiltshire. A year after his birth his father died leading the family to move away though William managed to return in 1827. He lived out the rest of his days there and it became a place to inspire and experiment until his death in 1877. If Talbot was an artist then he was one of a particular kind whose values were infused with his wide-ranging interests in mathematics, philology, antiquity and botany. Talbot enjoyed a relatively privileged upbringing which saw him benefit from a first class education, culminating in a degree from the University of Cambridge. While he dabbled in art in its more traditional sense his true passion was in preservation – that is to say, capturing the beauty one beholds with the eye and distilling it for the pleasure of their recollection at a later date. He is perhaps most famous for a process he developed called ‘calotype‘, named from the Greek ‘kalos‘, meaning ‘beautiful’ and ‘tupos‘ meaning ‘impression’. Before the discovery of the calotype process an image could be made on paper but the process of first capturing it would take such a long time that there was no chance of spontaneity in the end result because the only way to capture it clearly would be if the subject were entirely still. By using the calotype method, Talbot discovered it was possible to reduce the time it took to take a picture to a few minutes so long as the subject of the image was pictured in bright sunlight. The exhibition has undoubtedly been lovingly curated. However, if it’s beautifully framed portraiture you’re after you won’t find it here. This exhibition highlights photography in its crude, early forms yet it is here in which Talbot’s passion lies. Most of his images are scientific experiments – the results indicate he wasn’t necessarily interested in setting a particular theme to carry through his life’s work. It seems that his main aim was to replicate what he saw in front of him as closely as possible in a permanent form he could look back on. In each new image he sought to improve upon its predecessor. While I did enjoy this exhibition I didn’t really feel I was able to connect with many of the pieces. The only consistency I could find in Talbot’s work was his love for architecture and the great outdoors – the windows and architecture of Lacock Abbey feature heavily throughout the exhibition and it’s certainly impressive to see how images were painstakingly preserved in the 19th Century. I found it quite humbling to think that thanks to Talbot and his contemporaries’ scientific approach to photography we are able to capture images whenever and wherever we want with minimal effort and zero development. If you’re a photography fan I’d recommend checking this exhibition out. As you’d imagine, the images are extremely fragile so no photography is permitted inside the exhibition. It’s running from now until 11th September and tickets are available here. I find this topic very interesting. Brings to mind Talbot’s American contemporary, Matthew Brady.